“The Best And Most Beautiful Things In The World Cannot Be Seen Or Even Touched – They Must Be Felt With The Heart”! A dental implant is a tiny post made of titanium that’s surgically positioned into the jawbone below the gum line. It can help overcome the dental issues like missing teeth, gum disease, bad breathe, and much more. It provides excellent strength to your teeth, and the ability to bite, chew and taste your favourite food. 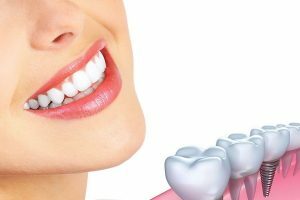 Here, the dental professionals who offer high-quality dental implants in Sydney provide some facts about dental implants. A missing tooth creates a gap in your smile that’s really difficult to hide. This could be overcome with the help of Sydney dental implants! Implants help bring back your striking smile. They don’t harm the adjacent teeth like other tooth restoration techniques. Since dental implants are fixed to your jaw bone, they are more comfortable and stable which lasts for a lifetime. Dental implants are made of durable material. With proper care and maintenance, the dental implants could last for a lifetime. Implants get easily fused with the jawbone to create a steady and strong foundation that can last for years. Restore The Functionality Of Your Teeth! We all know the fact that, the missing tooth makes difficulty in eating. The food leftovers can be trapped in the tooth gap which is exasperating, especially when you eat hard or chewy foods. This completely affects the biting and chewing ability. With dental implants, you can restore the full functionality of your teeth and can enjoy your favourite foods without any trouble. Dental implants are the long-lasting investment to your health and welfare. That is, they are the greatest investment of your life. The Dental implants cost in Sydney is completely affordable! Facial sagging is one of the unpleasant things which affect those who have missing teeth. This is because when the jawbone doesn’t get stimulation from the tooth roots. The lack of stimulation in the jawbone begins to weaken the muscles in your face which leads to facial sagging. In some cases, the lack of stimulation damages the jawbone severely. Dental implants offer enough stimulation which prevents bone loss and facial sagging. When a tooth is lost, the remaining teeth attempt to shift its position. As they begin to shift, it causes overlap which makes difficulty in cleaning the teeth. This makes way for plaque build-up and certainly causes cavities. Thus, dental professionals suggest replacing the missing tooth with the dental implant which will prevent the shift and makes it easy to clean. The dental implants in Sydney help enhance your smile and appearance!